Invest in the future of your business with an experienced merchant account provider. Your business requires specialized treatment that only an expert can provide. You’ll want to work with a provider who has not only dealt with a wide range of high-risk industries but also values transparency and honesty – meaning you won’t be bombarded with a slew of unexpected fees. Your focus should rest solely on maintaining your business while your processor will ensure the stress of high-risk fees are taken care of. Your processor can help reduce future costs by maintaining the security of your accounts and transactions, ultimately leading to a prosperous future for your business. Reliable payment gateways with secure transactions and encrypted servers, like SSL, as well as protection from credit card scams and fraud are all elements that are crucial to the security of your business. 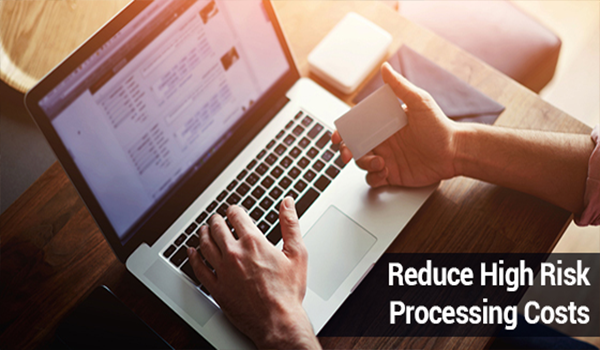 When you reduce your security risk as a merchant, you lower your processing fees. Ensure your processor is well-equipped with all the tools you’ll need to surpass high-processing fees.Your processor should match their solutions to your business. Signs that a processor is right for you include: acceptance of all major credit cards and the ability to provide recurring billing options, for example. As mentioned above, finding the right processor is a crucial element to reducing high-risk processing costs. However, make sure you’re not being trapped by set-up fees or lengthy application processes. You want a long term partnership with your processor – not a cash-funnel. Once you’re knowledgeable about the limitations and fees of the provider, you can make the appropriate decision. Your business can be stamped as high-risk for reasons both in and beyond your control, such as bad credit, offshore businesses, suspicious sales and marketing strategies and activities that could be borderline illegal. Even if you fall into only one or two of the aforementioned categories, your business can still experience high processing costs if your industry has a reputation for fraud or poses a legal or financial liability. If you want to avoid some of these fees, keep the above tips in mind.